Butter or Margarine: Which Is Healthier? If you have limited pantry space and a limited budget, these two oils will cover your basic cooking and baking needs. Why buy extra-virgin olive oil: Olive oil is a monounsaturated fat and research shows that monounsaturated fats help keep “bad” LDL cholesterol low and boost levels of “good” HDL cholesterol. In addition, extra-virgin olive oil is high in antioxidants called polyphenols that have been linked to heart health. “Pure” olive oil (i.e., not virgin) doesn’t contain these “bonus” antioxidants. Find out what the other olive oil labels mean and get the EatingWell Test Kitchen’s picks for our favorite brands. How to use extra-virgin olive oil: Use olive oil in dishes that benefit from its rich flavor. Drizzle it on steamed vegetables, mix it into a salad dressing, use a little to sauté vegetables. Or use it in baking in place of butter, as in our Greek Walnut Spice Cake & More Healthy Baking Recipes Using Olive Oil. Why buy canola oil: Neutral flavor and a high smoke point—the point at which an oil literally begins to smoke—make canola an excellent choice for baking and sautéing. Smoke point is an important consideration if you’re planning to cook at high heat—as you do when you’re frying or grilling. At an oil’s smoke point, nutrients are destroyed and potentially health-harming compounds are formed. 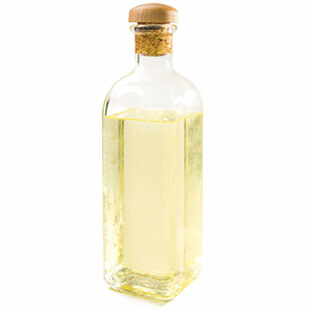 Canola oil generally doesn’t have many antioxidants, as olive oil does, but it does have a relatively long shelf life. In addition, canola is the richest cooking-oil source of alpha-linolenic acid, an omega-3 fat that has been linked to heart health. How to use canola oil: Extremely versatile, canola oil is great for sautéing, roasting, baking and making salad dressings. If you have more pantry space or cooking needs, here are 3 more healthy oils to try. Why skip soybean oil: Soybean oil—often labeled as an ingredient in vegetable oil—is high in omega-6 fats, which compete in your body with healthy omega-3 fats (the kind that benefit your heart and brain). Many nutrition experts say that Americans get too many omega-6 fats in their diets, mostly from processed foods, including Joe Hibbeln, M.D., a Captain in the United States Public Health Service. He takes it a step further and blames alcoholism, depression and a host of other illnesses on the excess of omega-6 fats in our diet. Here are 5 ways to get into omega balance. In fact, it’s quite difficult to find commercial salad dressings, mayonnaise, even crackers, breads, pasta sauces and granola bars, among other products, that don’t include oils with high levels of omega-6 fats. Here are some of the healthiest packaged salad dressings, mayonnaise, crackers, pasta sauces and granola bars. Why skip palm oil: While you can find palm oil for cooking, you’re more likely to find it in packaged foods as many food manufacturers are replacing heart-damaging trans fats (hydrogenated or partially hydrogenated oils) with palm oil. While palm oil is trans-fat-free, about half of its fat is saturated, adding about 1.5 grams sat fat to each 2-tablespoon serving—and a diet high in saturated fat has been linked with elevated cholesterol levels and increased risk for heart disease. Though you may have heard that palm oil has less of a cholesterol-raising effect than other tropical oils, the research isn’t conclusive. Your best bet is to choose natural products that contain neither added palm oil nor trans fats. In addition, recent research shows that palmitic acid, a saturated fat found in palm oil (and beef, butter and cheese), caused mice to become resistant to the appetite-suppressing hormones leptin and insulin, which in theory could make them eat more.